Mascarpone Mini Cupcakes with the Girl Scouts! This past weekend I was asked by one of my friends, Helen Golden, to lead a cooking class for her daughters Girl Scout troop on how to make an Italian dessert for their cooking badge! 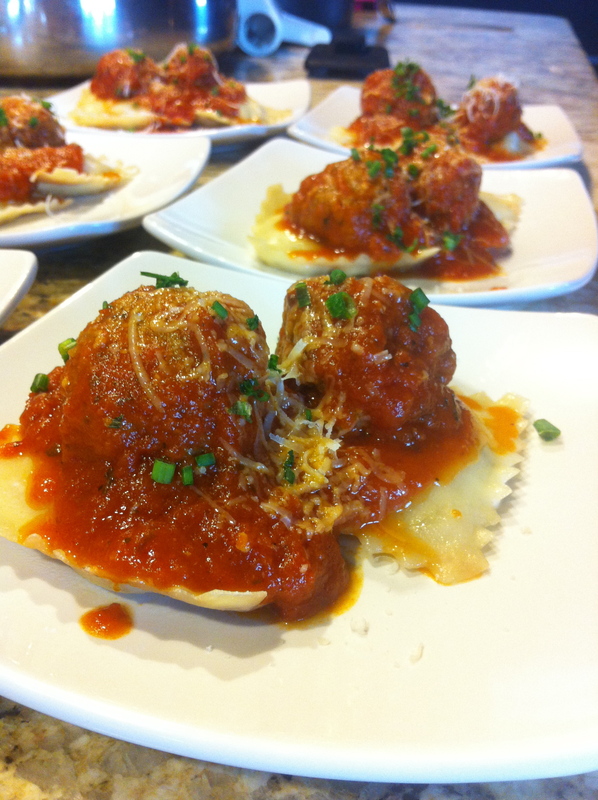 With the help of another one of Helen’s friends, who showed the girls how to make homemade ravioli and meatballs, the troop cooked an entire meal start to finish for themselves! 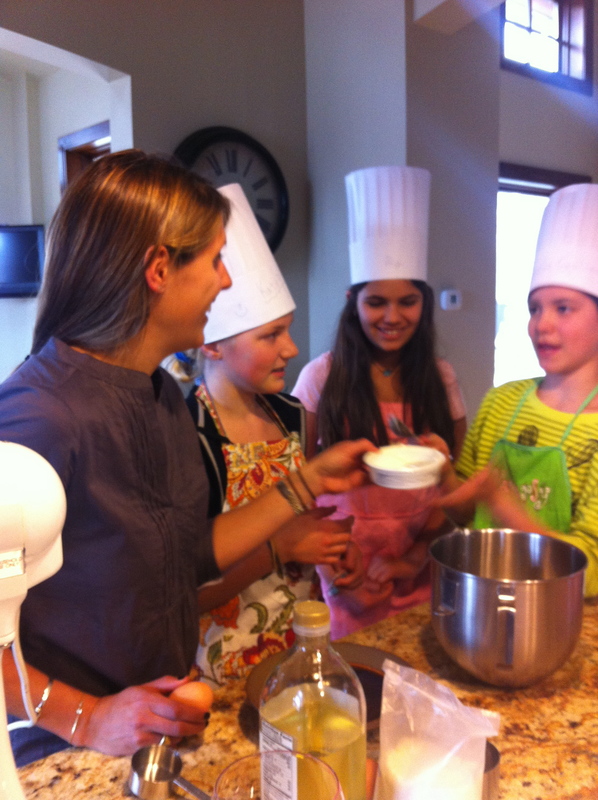 It was such a fun experience and I was honored that Helen asked me to help them achieve their cooking badge! 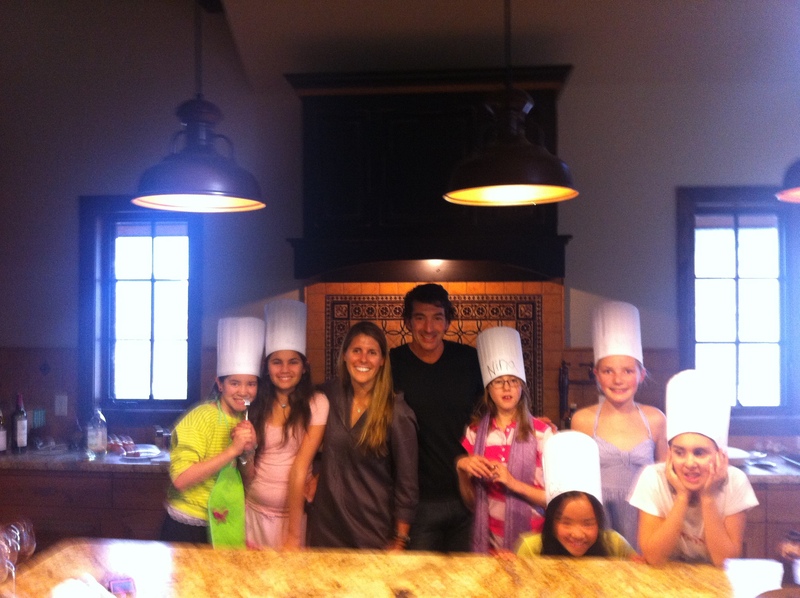 All of the girls did such a great job, I won’t be surprised when they all grow up to be great cooks! 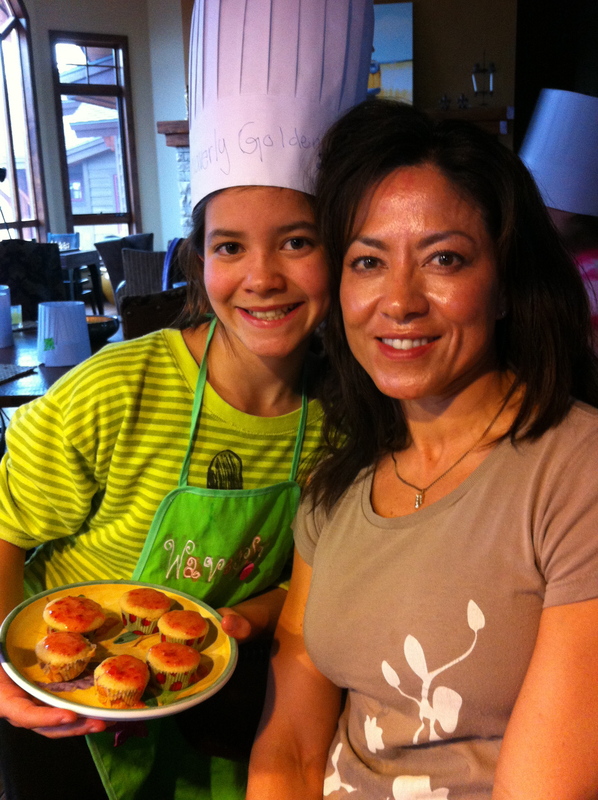 Helen and her daughter with the Mascarpone Mini Cupcakes. I chose to help them make mascarpone mini cupcakes with strawberry glaze. This recipe is great to make with first time bakers since you use a white cake mix as the base. Their is some measuring involved but most of it is included with the cake mix which makes this muffins a breeze! Plus the strawberry glaze is delicious and pink, which the girls loved! The original recipe is from Giada De Laurentiis who is one of my favorite cooks. Hope you enjoy and congratulations to the Girl Scouts for earning their cooking badge! In a large bowl combine the mascarpone cheese, egg whites and vegetable oil. Using a hand mixer, beat the ingredients until combined and creamy. Add the cake mix and water and mix until smooth, about 3 minutes. Fill the mini cups to just below the rim and bake until puffed and golden, about 18 to 20 minutes. Remove from the oven, let cool slightly in the tin then transfer the cupcakes to a wire rack. 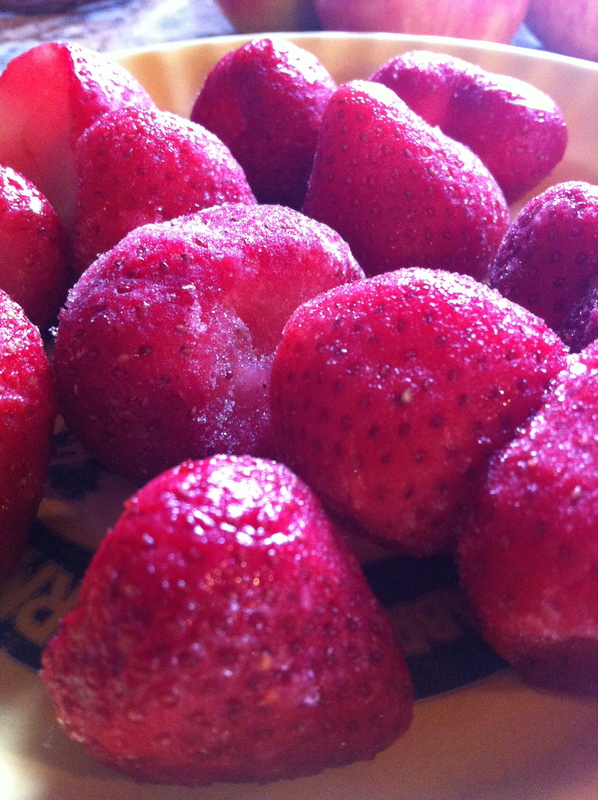 Meanwhile, puree the strawberries in a blender or small food processor. Place the powdered sugar in a medium bowl. Pour in the strawberry puree and whisk until smooth. Our victory photo after the meal! This entry was posted in Baked Goods, Desserts, Recipes and tagged cupcakes, mascarpone, strawberry glaze by skibootsinthekitchen. Bookmark the permalink.